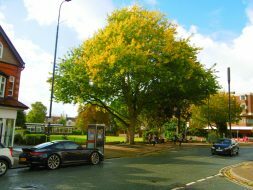 Hale is without question one of Trafford’s most desired locations, attracting those wanting a perfect balance of village and city style. 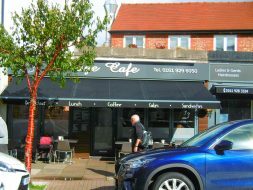 With a flourishing village centre, bowling green and a great selection of bars and restaurants, the vibrant village of Hale has it all. Just 10 miles from Manchester City centre, the appeal of this exclusive town is easy to recognise. It falls within the Metropolitan Borough of Trafford, Greater Manchester. Visiting Hale couldn’t be any easier with plenty of transportation to choose from. Altrincham Interchange, with modern, user-friendly facilities, offers bus, train and metro link services, just a 15-minute walk away from Hale’s Village centre. 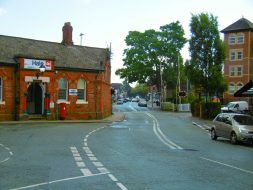 Hale’s railway station, on the Mid-Cheshire line, is conveniently in the centre of Hale. 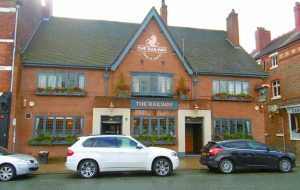 It’s handily close to Manchester Airport and the M56 with quick access to the national motorway network. Hale was first referenced in the Domesday Book of 1086. During the Middle Ages, Hale grew so much that Hale Barns was recognised as a distinct place. Hale and surrounding areas like Bowdon are considered the wealthiest parts of Greater Manchester – with some of the priciest properties in England outside London. Your chances of bumping into a celebrity, probably a Premiership footballer (possibly ex-players Roy Keane or Bryan Robson) or spotting a personalised number plate on sports car are quite high. Celeb-spotting is an easy game in and around Hale – with famous faces like the Arora brothers, B&M owners since 2004, and Anthony Preston, the founder of Pets at Home being familiar figures. 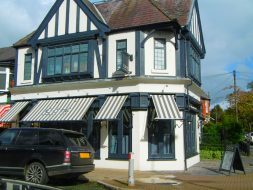 Putting a bit of glitz and glamour around Hale are the Real Housewives of Cheshire – their love for the lavish lady lifestyle means they won’t be that hard to miss walking down Ashley road. 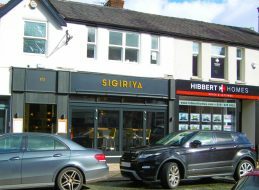 Footballers, possibly Manchester City’s David Silva, are not an uncommon sighting – with the footballer’s playground, Alderley Edge, not too far away. Exciting, varied, and bursting with appeal; Hale Village is a place where everybody is very warmly welcomed. The village is jam-packed with unique restaurants, bars, hair dressers, beauty salons, art galleries and a library, whilst neighbouring Altrincham offers a food market, cinema and an ice rink. 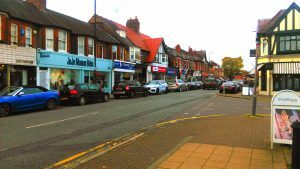 Hale is well known for a wide variety of high quality street retailers, such as; Vanilla and Dress 2 Party – perfect places to grab a new stylish outfit. To go with your new look, why not have a bit of pamper in salons like Terence-Paul, The Nail Studios of Hale and Paint Hair & Nail bar. Would you really need to go anywhere else? 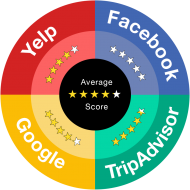 Sometimes, review sites can have completely contradictory star ratings. One says a restaurant has terrible service whilst another has nothing to say but praise. We’ve all been there, endlessly searching for the perfect restaurant on review sites, wondering if moaning Myrtle is just being dramatic about the food or is telling the truth. To help you find the perfect place to visit, we’ve analysed reviews from Yelp, Trip Advisor, Google and Facebook to accumulate an overall star rating. Stockyard offers a true taste of the Southern States with a fantastic selection of American Craft Beers. On offer are an impressive 70 bourbons and rye whiskies, many of which are featured on their cocktail menu. Hale Wine Bar offers a highly contemporary setting which gives the opportunity for customers to have the classic community wine and cocktail bar experience. Using premium and locally sourced ingredients, they provide the finest yet friendliest service of exceptional dining and drinking. 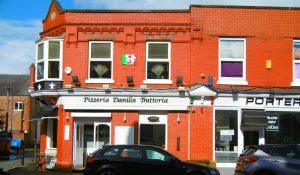 Danilo’s have been serving the most incredible Italian dishes for over forty years! 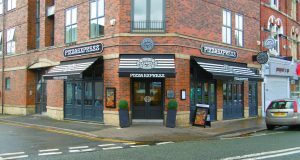 They represent everything about being a truly authentic Italian restaurant, with classic pasta dishes and fresh pizza. 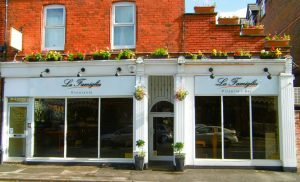 La Famiglia, ‘The Family’, aim to ensure all guests who walk through their doors have a true Italian dining experience. The menu offers classic dishes and daily fish deliveries along with daily black board specials. To the rear of the restaurant is a secluded heated outdoor courtyard where guests can enjoy alfresco dining. 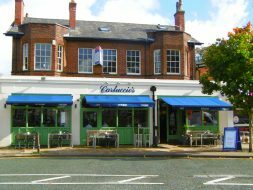 Carluccio’s is an Italian restaurant across from Hale railway station. They’re open for breakfast, lunch and dinner and offer a broad range of classic Italian food. Guests have an option of outdoor or indoor dining to enjoy their authentic Italian food at sensible prices. 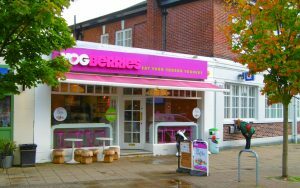 Yogberries offers premium fat free frozen yoghurts to enjoy as a delicious nutritious treat. You can mix things up with different flavour yoghurts, such as chocolate and salted caramel, or upgrade to a premium peanut butter crunch special. 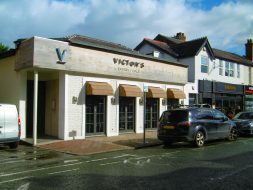 Victor’s is known for its American execution of international cuisines in a sophisticated yet relaxed atmosphere. They offer a unique take on casual fine dining with luxury ingredients that create excellent dishes. Sigiriya is a Sri Lankan restaurant serving a selection of traditional Sri Lankan dishes with a fusion of Indian and Thai styles. Their incredible curries come in many varieties of colours and flavours with a blend of Sri Lankan spices. Côte’s inspiration is the brasseries of Paris, they serve authentic French classics made from great quality, fresh ingredients. You can enjoy brasserie favorites such as steak frites, moules marinières and for dessert, Côte’s crème caramel and crème brûlée. 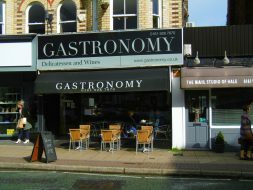 Gastronomy is a delicatessen and café in the heart of Hale village. Along with having a wide selection of Artisan, Organic, Local produce and an array of gluten-free offerings, Gastronomy also offer outside catering, cheese celebration cakes and hampers & vouchers. Their upstairs cafe can accommodate 42 people at a time for breakfast, lunch, old fashioned afternoon tea and a Sunday brunch. 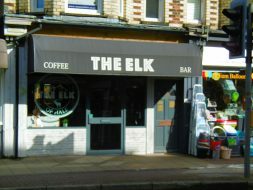 The Elk Bar is an independent Alpine bar serving craft beers, ciders, wines and spirits. It is based on a fusion between après-ski bars and German Beer Halls and serves fine wines, craft ales and cocktails. 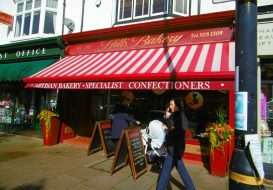 Hill’s Bakery are a family run business, they’ve been selling cakes, pastries and artisan bread since their foundation in 1912. In addition to their long-standing favorites such as short bread and chelsea buns, they offer gourmet sandwiches made freshly daily. Village Café is a contemporary establishment offering a refreshing style of cafe culture to accommodate any occasion. It’s perfect to host a relaxing business lunch or an evening treat. 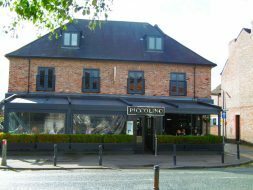 Piccolino is an Italian restaurant offering a combination of both modern and classic Italian dishes prepared in an open kitchen. Their terrace with a retractable roof allows guests to drink or dine alfresco no matter what the weather. 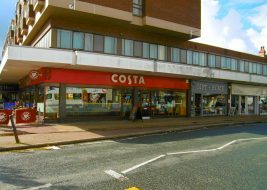 Costa is a counter-service coffee chain offering a range of hot drinks, iced coolers, snacks and sandwiches. Costa source 100% of their beans from farms certified by the Rainforest Alliance, their products support the social, economic and environmental concerns of farmers and farm workers worldwide. 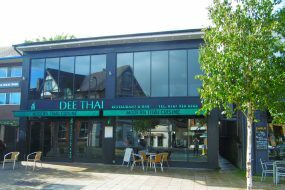 Dee Thai are a stylish, contemporary restaurant serving Thai cuisine. 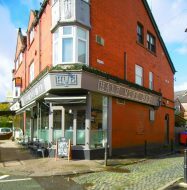 Their restaurant is split over two floors with a separate bar area, it’s the ideal location for a business meeting, party or event. 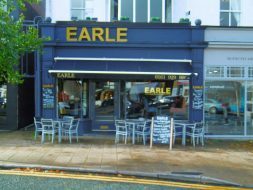 Earle offers diners contemporary British food with a selection of fish, meat and vegetarian dishes. If you fancy being spoilt, there is a full A La Carte menu to enjoy a special evening. 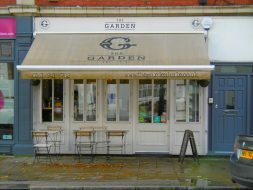 If you’re looking for a nutritious option, The Garden is the place to be. It’s Hale’s organic café serving earth friendly, organic food. Their ingredients are sourced from local organic farmers, allowing diners to appreciate ethical food full of goodness. 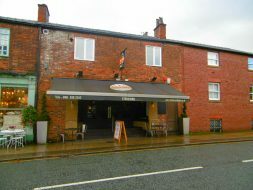 Their team of healthy living life lovers bring a fun and relaxed dining experience to Hale. Whether in the form of an American Hot, Dough Ball, Bolognese or a Pollo Salad… Pizza Express always delivers exception food to the highest standard. They offer wonderful food, friendly people and a great atmosphere. 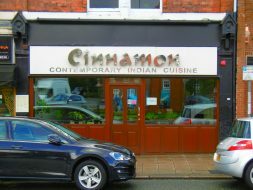 Cinnamon offers contemporary Indian cuisine, with the option to eat in or take away. It’s perfect for those wanting a real taste of Indian cuisine on a consistent level. Reservations are welcomed and encouraged. Attention football fans! The Railway aim to show as many sporting events as possible! Enjoy the football with a great selection of real cask ales, with Robinsons’ award-winning Unicorn, Dizzy Blonde and Wizard. 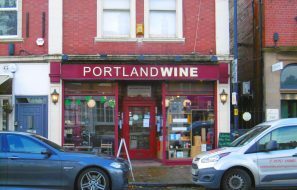 Portland wine offer the complete fine wine experience with knowledgeable staff on hand to help you choose your ideal wine. If you want to try it all – there’s regular wine tasting events where you can attempt to sample all on offer!